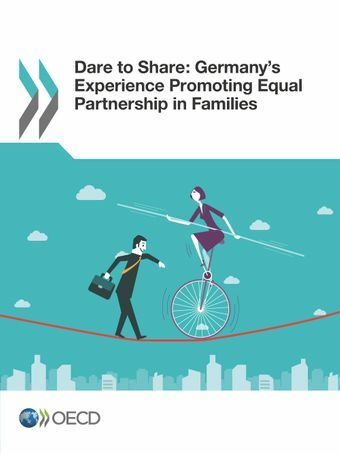 This review introduces the background to and issues at stake in promoting equal partnerships in families in Germany. It encourages German policy makers to build on the important reforms since the mid-2000s to enable both fathers and mothers to have careers and children, and urges families to “dare to share”. To those ends it places Germany’s experience in an international comparison, and draws from the experience in, for example, France and the Nordic countries which have longstanding policies to support work-life balance and strengthen gender equality. The review starts with an overview chapter also explaining why and how equal sharing pays for families, children, the economy and society as a whole. The book presents current outcomes, policy trends, as well as detailed analysis of the drivers of paid and unpaid work and how more equal partnerships in families may help sustain fertility rates. The book examines policies to promote partnership, looking both at persistent shortcomings and progress achieved through reform since the mid-2000s. The book includes a set of policy recommendations designed to enable parents to share work and family responsibilities more equally.